In Brighton we’re blessed with vast choice when it comes to preloved furniture, from the charmingly shabby to the achingly chic. Whether you’re desperate to furnish your home quickly and economically, or love the idea of spending weeks painstakingly browsing for the ultimate armchair, the wealth of flea markets, charity shops and specialist retro furniture outlets can’t fail to satisfy your needs. 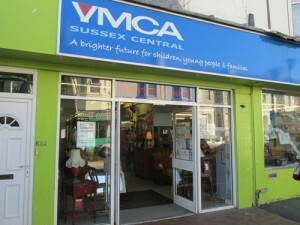 Here’s a round-up of great sources for secondhand furniture in Brighton and Hove. Bargain-hunting Brightonians scour this extensive flea market for reasonably priced antiques, retro furniture and bric-a-brac, stashed within what appears to be a tiny terraced cottage on Upper Gardner Street. Head down the entrance ramp to discover an Aladdin’s Cave within – ideal for sourcing kitchen tables with character (£60 to £120), quirky shelving units and cupboards crying out for a shabby chic makeover. 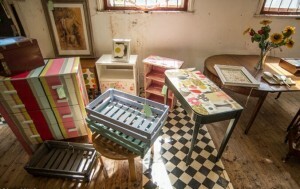 Venture up to the atmospheric loft space for beautifully up-cycled furniture in vibrant shades and prints, alongside kitsch crockery and funky lamps (around £25). If you’re enjoying the hustle bustle of the Upper Gardner Street Saturday Market, or lunching in the Laines, a root around this hidden gem is a must. Open: Monday to Saturday 10.30am – 5.30pm, Sunday 11am – 4pm. 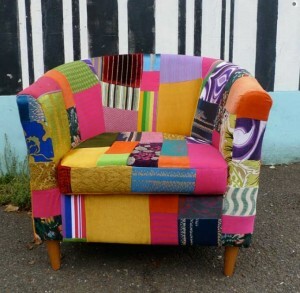 What better way to furnish your home, than by giving to charity in the process? 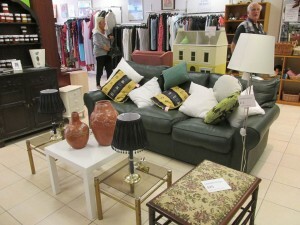 Local charity Martlets Hospice makes this happen, with nine charity shops around East Sussex now up and running. 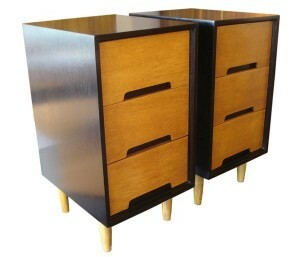 Their large, professionally managed stores on Blatchington Road Hove, and London Road Brighton are best for furniture. Maria Barrett, the Blatchington Road store manager says: “Our big sellers are retro coffee tables and sideboards from the 1960s and 70s for around £25, alongside almost new wardrobes and shelving units from Heals, Habitat and Ikea for about £60 to £80. 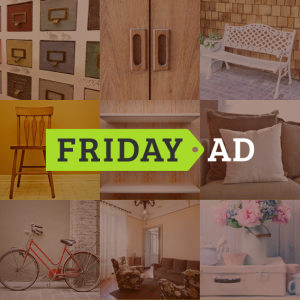 We’re incredibly busy with landlords, students and families making the most of our great prices.” There’s a fast turnover of donated bed frames, sofas, wall art, clocks and rugs, so don’t hang about – snap decisions are the order of the day here. Celebrating the joy of owning stylish furniture, In My Room must be one of the best places in the country for mid-century modern design classics. Owner Oliver Learmonth has the ultimate eye for Art Deco pieces, Post War and Industrial design through mid-century modern, to present day. Beautify your bedroom with a 1950s chest of drawers in English walnut (£395) and light up the lounge with a modernist chrome coffee table (£295). 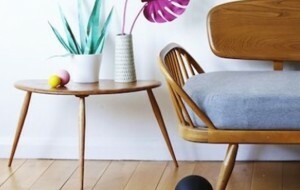 In the store and online you can browse well known designers such as Eames, Merrow Associates, Ercol, Saarinen and Panton. And if you’re into vintage ‘space age’ technology, retro toys and original film posters, In My Room can help there too. In My Room can also deliver around the UK. 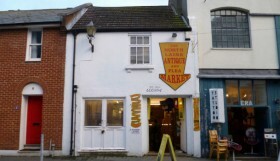 New stock is added daily at the excellent Emmaus Secondhand Superstore – a renovated Victorian laundry in Portslade Old Village packed with dining tables, bedroom furniture, household linens and bric-a-brac. This massive 650 sq ft of sales space gives you room to browse at your leisure, and prices will delight too – sofas from £45 to £100, wardrobes £50 to £150. 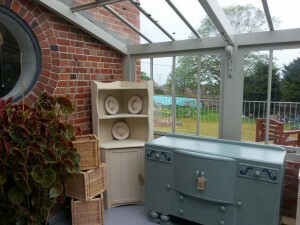 You can also find cool retro furniture and collectables in the Emporium, and funky garden furniture in the Greenhouse. Regulars rave about the peaceful landscaped gardens and the friendly café. Retail Manager Andy Hobbs says: “We offer something for every budget. All proceeds are ploughed back into this supportive Emmaus Community which helps people move on from homelessness.” Best of all, with three vans, Emmaus can collect donations and deliver purchases to your door. Beloved of students and up-cyclers, the Shabitat warehouse on Lewes Road helps those on a micro-budget kit out their homes. Recycling co-operative Magpie collects pre-loved furniture and household items to clean, restore and update, and sell on at very reasonable prices. Shabitat Manager George O’Leary says shoppers typically buy desks (£20), wardrobes (£20) and chests of drawers (£15). A double bed with mattresses will set you back around £40. “Last summer we opened Shaboutique in the Open Market which showcases up-cycled furniture and quirky items that our team builds – like an amazing chair made out of an old beer keg,” says George. Shabitat also gives away items through its Homeless Furniture Project which started in 1995 in partnership with Brighton & Hove Council’s Homeless Section. 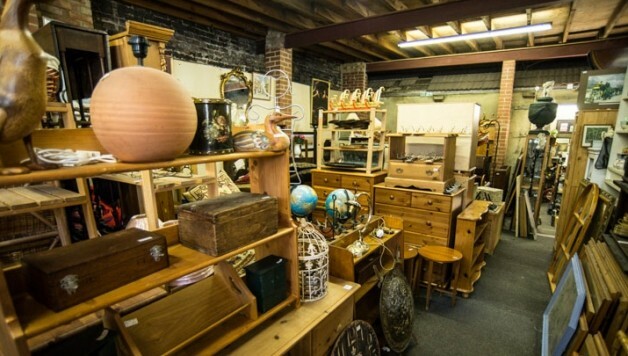 For beautifully restored Art-Deco, Arts & Crafts, vintage 20th Century and antique furniture, Bellerophon Antiques in the North Laine district won’t disappoint. 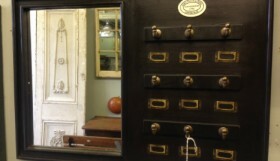 This is the place to pick up a statement item such as an Edwardian stationery cabinet or well-crafted mid-century chest of drawers (£495). 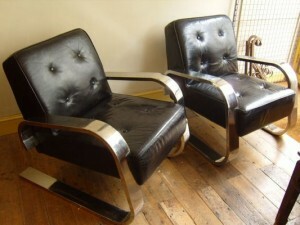 You’ll find vintage office and school furniture such as desks and stripped steel filing cabinets (£300), as well as a range of unique mirrors, pictures, lighting and ceramics. For those who value fine design and workmanship, investing in antiques and vintage furniture makes perfect sense. Bellerophon owner Andy Dawson and his team are happy to share their knowledge, take on restoration projects and advise on how to care for special items of furniture. Open: Wednesday to Saturday 11am to 6pm, Monday & Tuesday by appointment. It’s a little off the beaten track, but flamingo pink-fronted Brighton Flea Market in fashionable Kemptown is well worth a browse for fabulous, rock-bottom priced furniture. 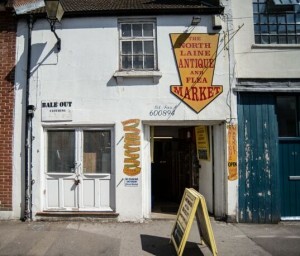 Formerly a coaching stop, today the building houses around 60 stalls loaded with eye-watering collectables, kitsch kitchenware and bric-a-brac. Upstairs you’ll find larger items of furniture – tables and upholstered chairs from the 1800s, through to retro and modern desks, lamps and mirrors. 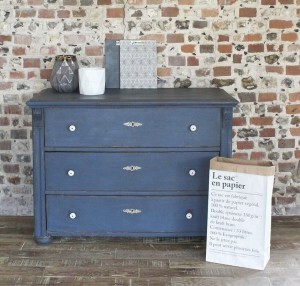 Some stalls have taken the pain out of updating pre-loved furniture and done the job for you – presenting tastefully distressed chests and vibrant pastel-striped tables and storage units. 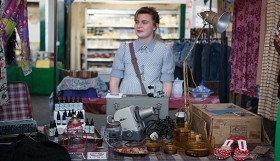 This is a great place to try your bartering skills too as many traders are open to offers! This is pure browsing heaven for style lovers. The Design Vintage store on leafy Lowther Road near Fiveways offers an eclectic mix of vintage, retro and industrial furniture. There’s an emphasis on unique items sourced in Europe, such as vintage Hungarian cupboards (£595) and French rustic stools (£65), sold alongside new Scandinavian-made furniture, lighting, gifts and accessories. The website displays stock beautifully, but head down to the store for ideas on how to co-ordinate your statement furniture pieces with lovely linens, wall art and tasteful rugs. Owner Lisa Brass says customers have often read about Design Vintage in the interior décor press and come from far and wide to find something special for their home.